Marijuana For Beginners: What Are The Basic Strains? Many people compare the explosion in the legal marijuana business to the explosion in technology in the late 20th and early 21st century. In one sense, they are right. The sudden proliferation of cannabis across the country has led to a whole lot of people feeling left behind. Much like early tech adapters sounded like they spoke a different language, those in the know about marijuana can sound confusing to those who are not. So what about marijuana for beginners? No worries. There’s plenty of time to catch up. As California, Massachusetts, Maine and Nevada gear up to sell recreational marijuana – joining Alaska, Colorado, Oregon and Washington – it’s a good time for beginners look at some of the marijuana basics. A fine place to start is by learning about the two basic strains of marijuana and what might be the better choice for the experience you are seeking. Cannabis grows naturally and most experts believe it’s been around thousands of years. Most people use the word “marijuana” to cover all kinds of cannabis, but in truth there are two different species of the cannabis plant. Sativa typically grows in hot, humid areas. Tropical locations such as Central American and Southeast Asia produce some of the most famous types of sativa. Indica thrives in more rocky, colder climates, such as the Kush Mountains of India. Needless to say, there are many variations between the two and also hydrids that mix the two species. However, the following represent some of the main differences between the two. The cannabis sativa plant produces a leaf that probably most resembles the marijuana leaf image that most people have seen on everything from buttons and T-shirts to pro-legalization signs. The plants can get enormous. Given enough space, they’ve been known to grow as tall as 20 feet. The cannabis indica, on the other hand, looks more like a bush. The leaf, while still recognizable as a marijuana plant, are typically shorter and clustered together. The indica rarely grows that tall, and so is more often the plant grown indoors. Another way to tell the different between the two is in how fast they flower and the type of buds they produce. Sativa plants flower slower than indica, taking 60 to 90 days to reach a mature bloom. They also produce a longer, kind of sausage-shaped bud. Indica takes less time to flower, usually about 45 to 60 days. They produce a more bulbous flower, easy to distinguish from sativa. Now to the part you really want to know. You can talk to 100 different people about the differences between sativa and indica and get 100 different opinions. In general, however, people tend to agree on the following. Sativa is known more as the energy strain of marijuana, giving users a boost. The effects tend to concentrate more on the cerebral – in another words, the high feeling. Most agree sativa is the best strain for mood elevation, fighting depression or even focusing better. Indica is typically felt over the entire body and offers deep relaxation. Most people think of indica as being perfect for a “staying in, watching a movie” evening or as a replacement for a glass of wine after work. When people talking about “mellow,” they mean indica. It’s typically used to combat anxiety, aches and pains, and insomnia. That’s a brief look at the differences between the two. People who work at a legal dispensary – whether bricks and mortar or online – work for a company that has been licensed by the state to deal in legal marijuana sales. 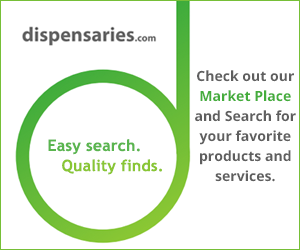 They will have the knowledge to guide you toward the correct choice and make your marijuana experience the best possible. Can I Donate Blood If I Smoke Weed? Want to donate blood? Do you smoke weed? We’ll cover blood donation facts & if the American Red Cross accepts blood donations from cannabis users.